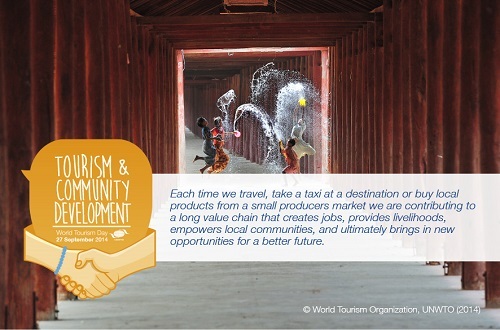 Tomorrow marks the 34th annual World Tourism Day across the world. This event, hosted on the 27th of September every year, is held to highlight the importance of tourism for all nations and the power of influence it can have over social, cultural, political and economic issues. The date is significant as it marks the day on which the United Nations World Travel Organisation (UNWTO) brought in new statutes in 1970. The time of year is also important as, due to the northern hemisphere’s peak season coming to a close and the southern hemisphere’s just beginning, tourism is currently a hot topic. Hotel Jardin Tecina has always been a great advocate of responsible tourism on the island of La Gomera, the rest of the Canary Islands, and indeed on an international scale. In line with this we are supporters of many great initiatives which are aimed at helping struggling communities both locally and further afield. 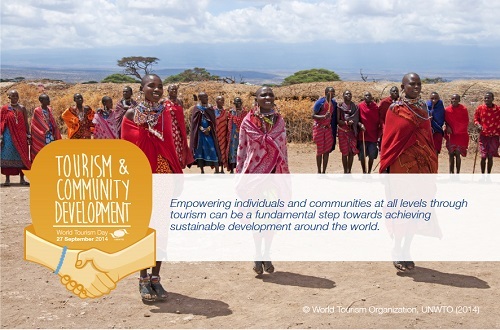 The focus for this year’s World Tourism Day is to “empower people and provide them with skills to achieve change in their local communities”, and this is something which we at Hotel Tecina feel particularly strongly about. Many of the charities which we directly support have a goal of aiding underprivileged children and helping them build a better future for themselves. For example, Right to Play, an organisation for which the hotel has collection boxes in reception, are educating young people in over twenty different countries through the medium of sport. With a particular focus on those who are living on the street, are former refugees or are suffering from HIV, Right to Play initiates sporting programs that will help these children escape the hardship of their everyday lives and learn important life skills. Other charities which receive our support in the form of donations include Aldeas Infantiles SOS Tenerife, an organisation that sets up youth villages to help develop young children, prepare them for the future and integrate them into society; Fundación SEUR, a Spanish charity who provide medical care for underprivileged children through the recycling of plastic bottle tops; and Restaurantes contra el Hambre. Restaurantes contra el Hambre (restaurants against hunger) is an initiative from which more than forty different countries are currently benefiting. For every dish that is ordered in our Club Laurel restaurant, between €0.50 and €2 goes directly to the charity which is promoted by Tenerife Tourism Excellence. Guests, or anyone for that matter, can also kindly donate by texting the word ‘Hunger’ to 28010. Along with the support for these organisations and more, the hotel also plays a pivotal role in the local community by sponsoring important events and opening up our sports facilities during the summer holidays to the children of La Gomera. As well as the collection boxes in reception, anyone staying at the Hotel Tecina can learn about the various charities we support through the leaflets in their room. Another crucial part of responsible tourism, and something else which World Tourism Day promotes, is the need to look after the environment. This is also something which Hotel Tecina takes very seriously and we are proud to say that we have implemented a number of elements to ensure the resort operates in as green a way as possible. Among these environmental and sustainable schemes, we have reduced our water consumption in a number of different ways. The toilets and shower heads in our rooms are fitted with low-flow systems, we have our own dedicated water supply and desalination plant, and all water that is used is treated before being distributed across our gardens and Tecina golf course in the form of irrigation. Along with this, we have also improved our electricity consumption by installing more efficient heat pumps in the pool and using LED lighting wherever possible. The solar panels introduced to the car park have played an integral part in the reduction of energy use, as they now generate almost half of the power needed to heat the pool and our rooms. In a further bid to help save the planet, we have swapped potentially harmful cleaning chemicals for more environmentally friendly ones and the ingredients used in all of our dining facilities are responsibly and locally sourced wherever possible. Recycling also plays an important role in our day to day mission to turn things green here at Hotel Tecina. We treat our solid sewage waste before using it as fertiliser; recycle plastic, glass and metal from the kitchens; and send all of our used oil to be used in the manufacture of soap and other detergents. All of this and more has resulted in the hotel being recognised with a Renewable Energies Certificate in 2012, a 2010 Bronze and 2012 silver award from Travelife, and being named 2011 and 2012 TUI Umwelt Champion. 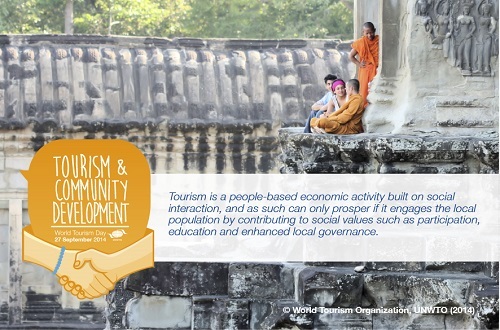 World Tourism Day is a big occasion in the travel industry and the things that it highlights are vital for the future of our planet and the communities we all belong to. And so, whilst the celebrations get under way in Guadalajara, Mexico tomorrow; anyone who would like to get involved is encouraged to do so on Facebook and Twitter by using the hashtag #WTD2014. Here’s to the future of sustainable and responsible tourism!